We offer Lean Six Sigma Certification and Training courses in: White Belt, Yellow Belt, Green Belt, Black Belt and Master Black Belt. 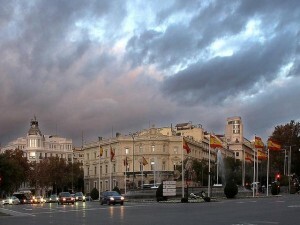 The unemployment rate of Madrid rose up to 18%, but compared to other major regions, Madrid exhibited the lowest unemployment rate because of the decline of the number of people that are unemployed. The employment rate however, is among the highest in all Spanish regions and continues to grow. A rising number of job seekers offset a significant amount of job creation because the country had more than 5.46 million individuals that were unemployed. In regions where the business environment suggests that bagging a good job will be much more difficult, a candidate can use a few certificates to upgrade their resume and stand apart among volumes of candidates. How long does Lean Six Sigma Training take? The Lean Six Sigma Training program is a doctrine that has been used within business organizations to optimize business processes since 1988, and some of the most frequently asked questions regarding the training have been answered in this article for your convenience. The duration of time that will be required for you to attain the certification depends on your current level of proficiency, the level of effort you are willing to make, and the level of expertise you opt for. Acquiring the most basic level of efficiency; the White Belt can take up to two weeks, but if you choose to attain the Master Black Belt, your training program can stretch up to four months. Going through the lean six sigma training online instead of experiencing the actual physical experience of the training differs vastly in nature and it is always highly recommended to approach a brick and mortar based training setup that offers the Lean 6 Sigma certification for the matter. Nevertheless, if your case does not allow enough room and leverage, the certification will become limited to the online courses being offered instead of the real test itself. Majority of companies that offer the certification online only provide lower levels of expertise and if a candidate deems the online training sufficient enough, there are many platforms that offer the Six Sigma Certificate through online training. The meeting rooms in Palacio Miraflores, Madrid are located in a majestic 18th Century palace in the old centre of Madrid. This impressive building, renovated in the 1990s, combines the traditional features of the palace with modern amenities to create a unique space for business. A traditional Spanish central patio with glass roof offers a different seating space, while secure, underground parking is available. 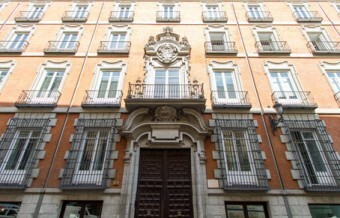 Near Puerta del Sol and in the Milla del arte (The Art Mile), the meeting rooms are surrounded by typical old-city buildings, housing offices, apartments and shops.